No connection server synchronization from country Ukraine. #792 No connection server synchronization from country Ukraine. Kaspersky Password Manager not can connection with synchronization server. As far as i know,its designed this way on purpose. Let's see what they say staff KL. Is it reproduced only from Ukraine internet ? 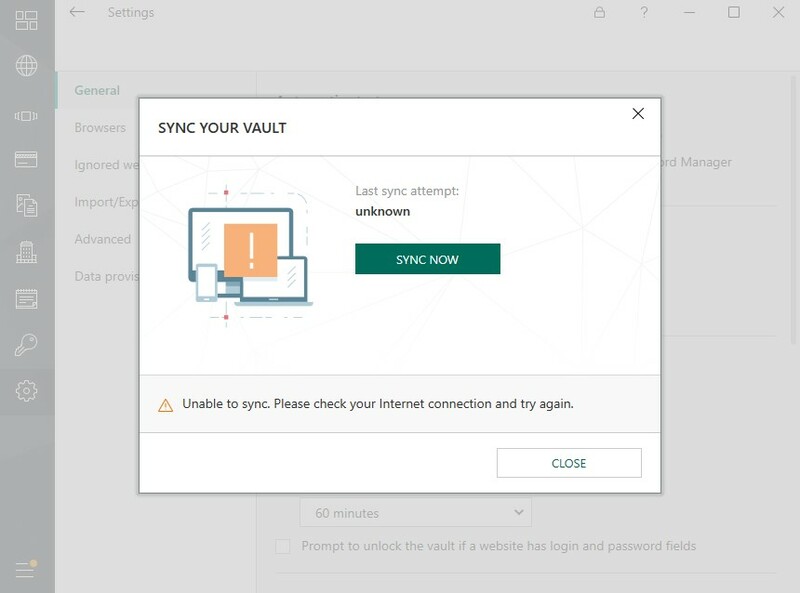 You can use Kaspersky Secure Connection for check it. Please check site https://www.amazon.com/ in your browser. No and other reproduced. Kaspersky Secure Connection work normal they made a redirect domains KL from Ukraine. This defect have same reason that have https://eap.kaspersky.com/topic/746/. http://pki.kaspersky.com/ is blocked your internet provider. I am sorry, but i can't help you in this defect.